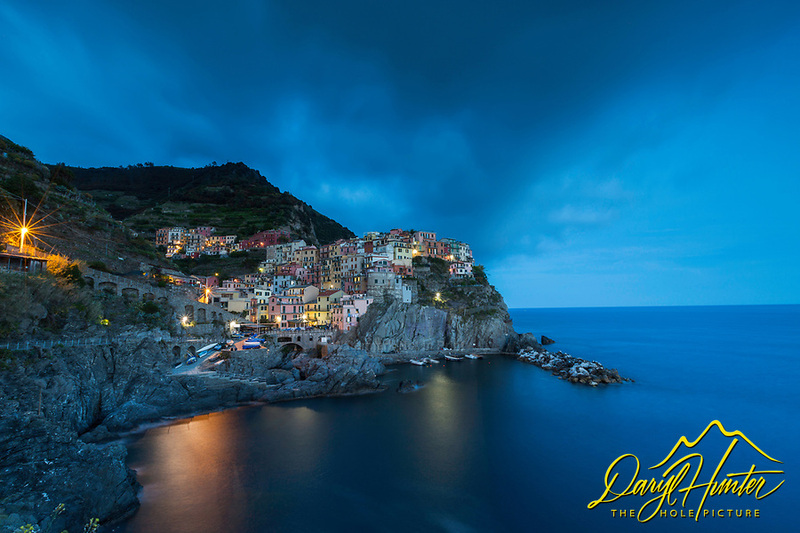 Manarola, Cinque Terre, Blue Hour Glow. The five villages of Cinque Terre are a World Heritage Site, for good reasons. Their history is long and colorful, and because of their pastel colors, they remain colorful today.